Relax; we'll free you from the ongoing hassles of sorting out your tax. As tax accountants in Stockport and the Greater Manchester area, our focus is all about keeping your tax affairs straightforward and simple, and ensuring you and your business are paying the right amount of tax, at the right time. Not every individual or business has complicated accounting and tax affairs. 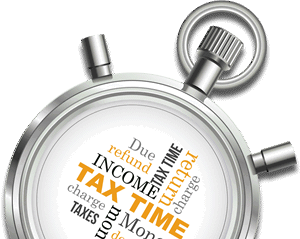 Many of our clients want a team to deal with their personal tax affairs correctly, on time and without fuss. That’s where we come in, giving you the services you need, not the extras you don’t. So you can relax knowing your tax accountant is freeing you from the hassle of sorting out your tax return. Claiming tax can be a tricky business. First, you need to know what you can claim. Next, you need to calculate what’s due and complete all the forms. We’ll take care of it. From gift aid and child tax credits to business mileage and pension contributions, you could be entitled to many different tax refunds. Just send in your paperwork and we’ll look into it. And if we find you’re missing out, we’ll get straight to work claiming what you’re entitled to. Preparing and submitting tax claims and forms. Calculating tax refunds for all possible years. Checking HMRC tax calculations, refunds and tax-code notices. Download our free Tax Calculator App for calendars, deadlines, advice and other handy tools – everything you need to know about tax and accounts in one place.